The Bell and Lights | Just Shooting Memories! Well, it is almost Christmas time again. That means lights. Lots of lights. I still have not finalized where I’m gonna go exploring this year, but Stone Mountain and Rome have been on my mind. This is a shot from Calhoun last year. 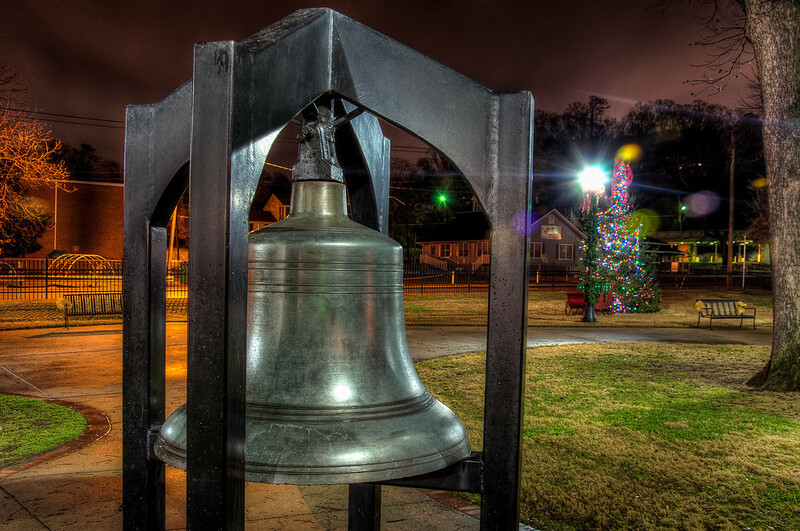 I thought this bell was pretty neat and fit well with the tree in the background.